If your entire home smells like sewage, you may wonder if there's a busted underground sewer line on your property. Although underground sewer lines can burst and release toxic odors that permeate the air, the real problem may lie in the plumbing fixtures inside your home, including the trapway in your toilet. If the trapway clogs up, the odors can permeate your home. Here are more things to know about the trapway and what you can do to fix it. Your toilet features different mechanisms and fixtures that should prevent odorous waste from backing up into the bowl, including the trapway. The trapway is an S-curved or snake-like internal fixture that sits near the base of the toilet and just below the tank. You can clearly see where the trap begins and ends on most toilets. But if you own one of the newest types of toilets, you may not see the trap. The trap should allow waste to flow down toward the base of the toilet after you flush it. But sometimes, waste products or items, such as toys, toilet paper, and sanitary napkins, can clog up and block the trap. Unless you remove the clogs right away, they can cause odors to push back into the bathroom and rest of your home. Sewer odors don't stay in one place after something releases them. The odors mix with the air in your home and travel to different locations away from their place of origin. If you use your air conditioning system a lot, the odors can use it to spread throughout the house. The wafting scent may make it difficult to pinpoint the exact location of the clogged or damaged plumbing fixture. In this case, the clogged trapway in your bathroom. If you don't unclog the trap, the blockage may cause additional problems for your plumbing system. The clog may cause odorous gases to back up into the main vent stack on your roof. The main stack is an outlet for sewer gases, as well as inlet for fresh air. The fresh air that enters the traps creates a certain amount of pressure in your home's plumbing pipes. The pressure helps send raw sewage and wastewater out of the home and into the city sewage system. You want to keep the main stack free of blockages and problems to prevent issues with the systems mentioned above. With the right tips and steps, you can try to solve your home's bad smell. How Do You Unclog the Trapway? Unclogging the trapway won't require too much of your time. You'll need to purchase a plastic, flexible plumbing snake, plunger, and white household vinegar. The plumbing snake will work its way through the trapway without damaging it and the vinegar will help sanitize and refresh the toilet. 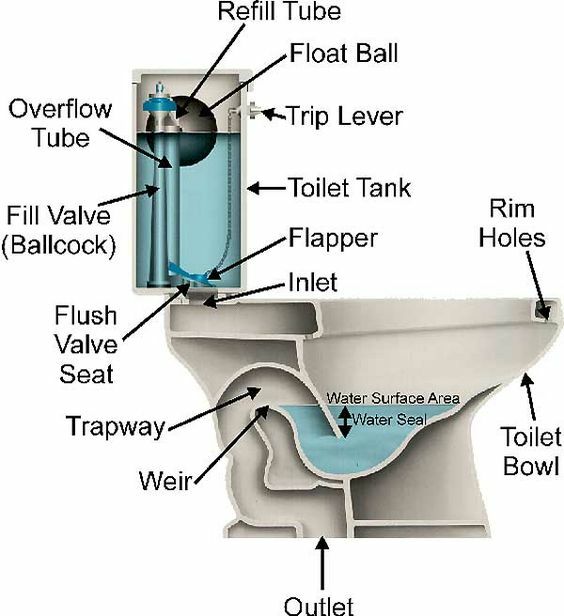 The plunger will create pressure in the trap to help push waste through to the sewer pipe connected to the base of the toilet. Use your plunger to suction the toilet. You want to push as much waste out of the trapway as possible. Cover your hands with gloves, then insert the plumbing snake into the toilet bowl. Push the snake through outlet hole until it stops. Move the snake back and forth and side to side. You want to break up the messy clog. Remove the snake, then flush the toilet once. Wait to see if the water empties the bowl properly. Use your plunger to remove the last remnants of the clog, then flush the toilet again. If the toilet continues to flush normally, pour the entire bottle of vinegar into the bowl. Wait 10 minutes for the vinegar to sanitize the bowl, then flush the toilet. 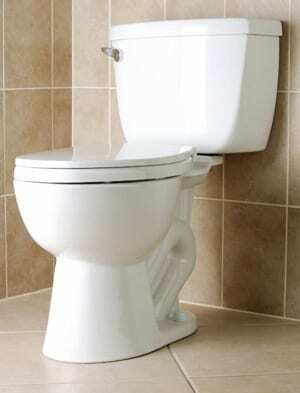 Monitor your toilet after each subsequent flush to ensure that it remains unclogged. Keep in mind that it may take a few days before the sewer scent disappears from the house. If the toilet doesn't unclog after following the steps above, or if the sewer smell persists after a few days, contact a plumber from a company like Total Enviro Services Inc. There may be other problems with your home's plumbing and sewer lines.